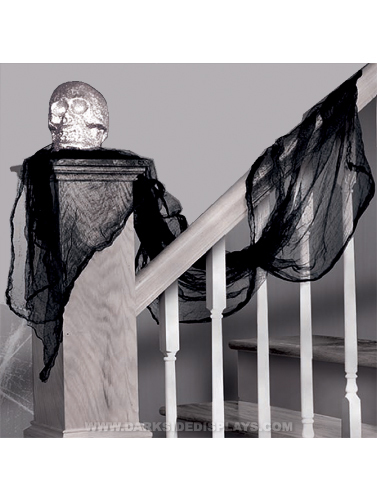 This black gauze draping will add a spooky element to stairways, mantles, thresholds, and more. This cheesecloth like draping is intended for one time use. Black Gauze Draping measures 24"W x 180"L (15 ft x 2 ft).